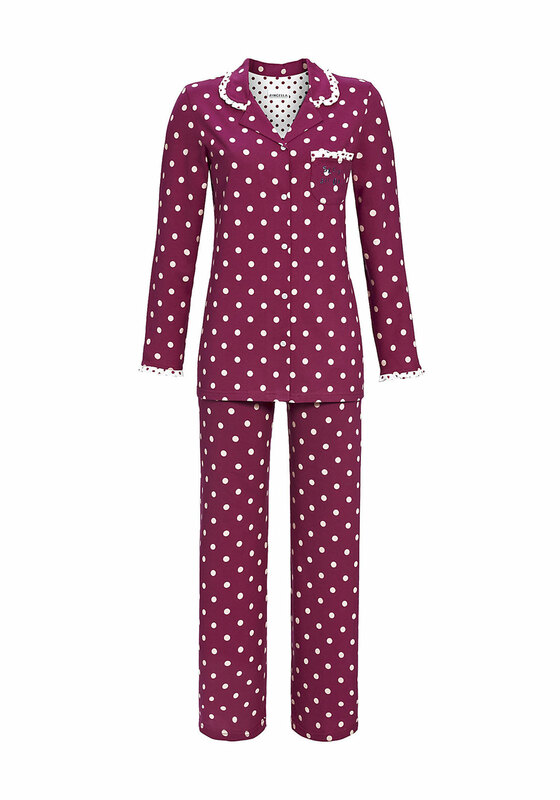 Drift off to a comfortable and peaceful night’s sleep with this pretty pink pyjama set from Ringella. Add a cosy pair of slippers in the evening or mornings. The long sleeve pyjama top is made from soft cotton jersey with a white polka dot print throughout. Featuring a full button placket and chest pocket. The matching pyjama bottoms have an elasticated waistband.